The Brightest Minds MBA scholarship contest 2014 is now open for applications. The Economist GMAT Tutor is pleased to announce the launch of the Summer 2014 Contest, which will award one winner a $25,000 scholarship to business school. 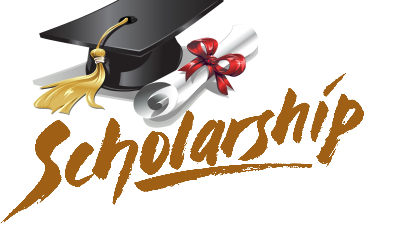 The scholarship competition is open to all prospective MBA and EMBA students. The winner will be the student who scores the highest on the Economist GMAT Tutor simulation test. The winning student will be awarded a $25,000 scholarship to one of the premiere business school sponsors. Five randomly selected runners-up will each receive a free iPad Air. The simulation test will require the completion of a 75-minute Verbal section and a 75-minute Quant section. Please ensure you have the available time to complete the test all at once. You will not be able to pause once you begin. The prize is a USD $25,000 tuition scholarship to a business school of the winner’s choice from among the business schools that are sponsoring this Contest. The contest is open to all prospective MBA or Executive MBA students worldwide. Contest open only to college graduates who are age 18 or over. The $25,000 scholarship will be awarded to the person who scores the highest on our GMAT simulation exam. Each entrant must complete the full-length (2.5 hour) Economist GMAT simulation test. Each entrant may sign up for and take the test only once. Entrants must complete the test alone without the aid of any other person(s). Entrants must complete the test in the allotted time, and may utilize optional breaks officially provided during the test. Once begun, the test may not be paused for any other reason. Incomplete tests will not be considered. Entrants must be willing to attend one of the sponsor business schools in either 2015 or 2016. The winner will be announced on November 17th. Five randomly selected runners-up will receive a free iPad mini. Ready to enter the contest for your chance to win? View the contest rules.